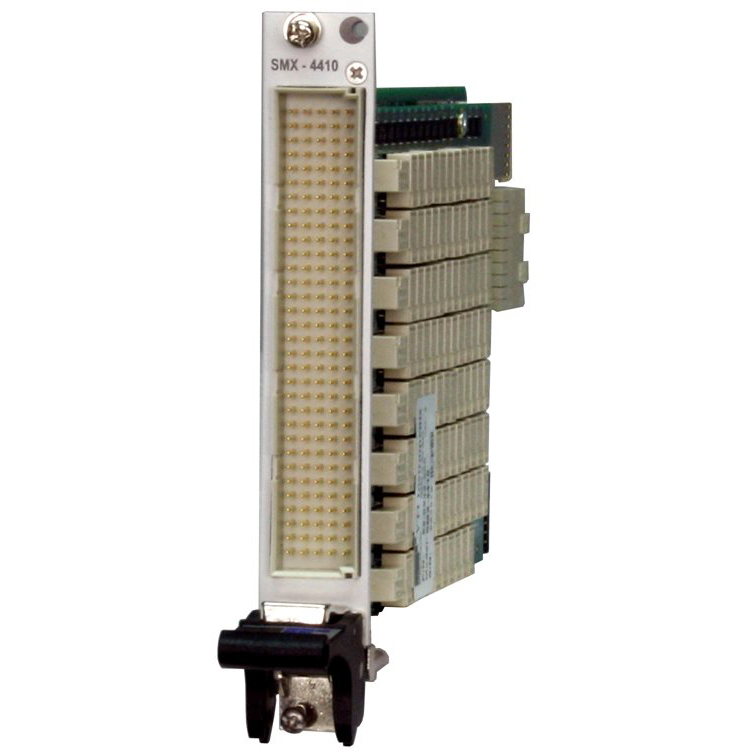 Chroma 33010 is a high-density 100MHz PXIe digital IO card designed for characterizing, validating, and testing a variety of digital and mixed-signal ICs. 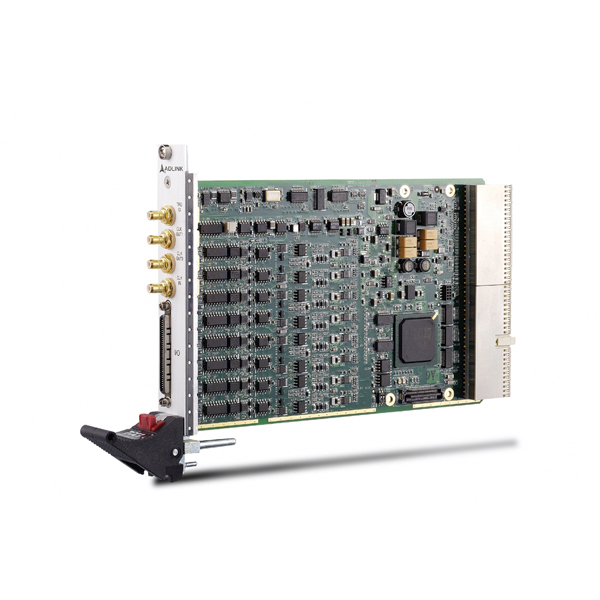 Each IO card consists of a Sequencer Pattern Generator (SQPG) and 32 channels of full ATE-like features. The 33010 IO card is expandable up to 256 channels. 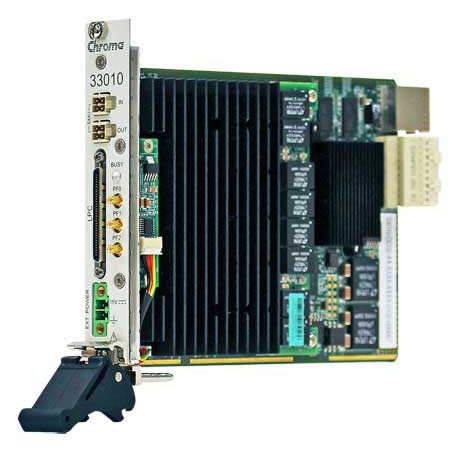 Some unique features of the 33010 include an on-board SQPG, per pin timing/levels/ PMU/TFMU, multiple time domains, and multithreaded testing for complex IC testing. Each channel is also equipped with 64M vector memory, 16 timing sets with on-the-fly timing change, and per pin timing and frequency measurements up to 400 MHz. In addition to LabView and LabWindows support, Chroma provides a proprietary software option, CRAFT_PXI, for Windowsbased systems. CRAFT_PXI contains a full set of production tools and user debugging tools. The production tools include ease-of-use GUI software with an Operator Interface, Test Data Output, Binning and Sequence Control, Wafer Map, Summary Tool, and rich sets of prober/ handler drivers. The user debugging tools include a Data Logger, Debug Plan, TCM, Shmoo, Pattern Editor, Waveform, and more. A CAD to ATE pattern conversion tool is also supported to cover WGL/STIL/VCD/EVCD conversions. 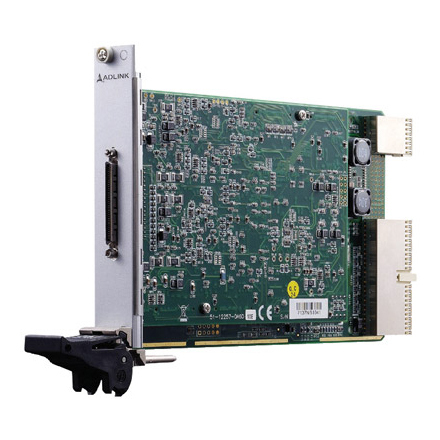 With a high-density per pin and per site architecture, full suite of ATE Pin Electronics (PE) card functions, expandable channel count, and a rich set of software support, the 33010 digital IO card will help users address the emerging market and test cost challenges. 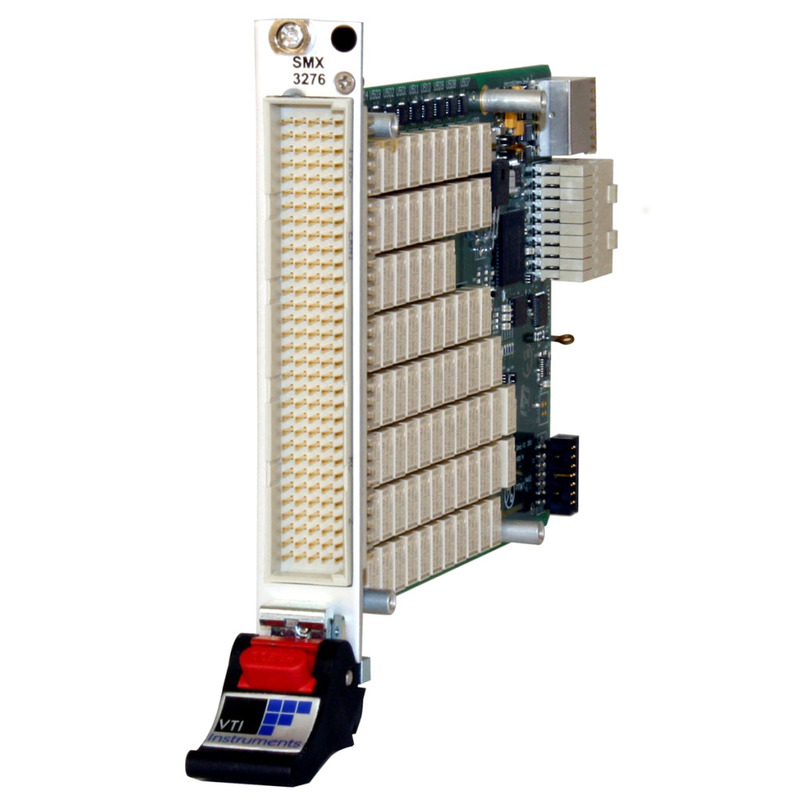 33010 PXIe cards can be easily adopted with other PXI/PXIe solutions such as RF, SMUs, and Mixed-signal cards to address a variety of applications such as MCUs, Sensors, RF ICs, PMICs, or ICs with combined functions.